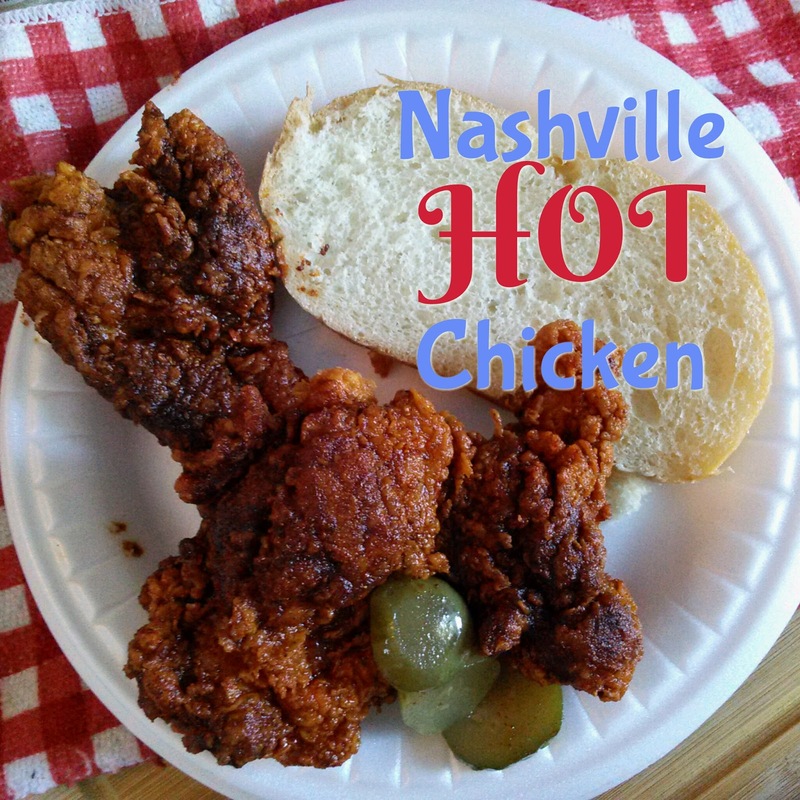 I've been totally obsessed with Nashville Hot Chicken since I ate some at a local restaurant here in NC last summer. I'd never heard of it and needed to know every thing about it. We had tiny chicken wings tinged electric fire-hot orange, that burned the soul of my tongue with each and every bite. So juicy, so greasy, so crispy, so exhilarating. Everything you didn't know chicken could be. 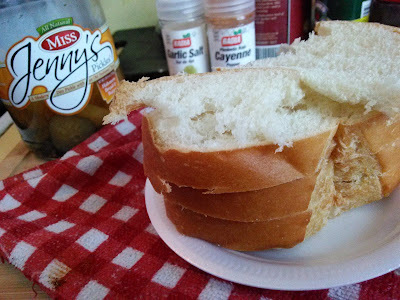 Slices of white bread with the crusts cut off and housemade cucumber pickles decorated the inside of the bowl. The very next day, Twitter lead me to read about it on Bitter Southerner. I researched over 5 similar recipes and combined what I liked to make my own Nashville Hot Chicken. 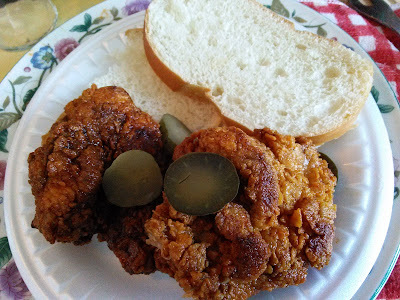 The secret is a mop (dip) of a melange of spices (lots of cayenne, a little sugar, paprika, garlic powder) that is whisked into hot lard (or oil) and the chicken is served with white bread and dill pickles. Hot sauce and chicken wings as well as hot sauce and fried fish are common law marriage in a black household, I feel. It's never been a secret, but now the master key is in your hands. I used boneless, skinless chicken thighs because that's what was in the freezer. And now my mouth is on serious fire. I'm in love. Serious chicky-chicky burning love. Dry-brine the chicken: In a bowl, toss the chicken pieces with 2 Tablespoons kosher salt and 2 Tablespoons black pepper; cover and refrigerate overnight or up to 24 hours. 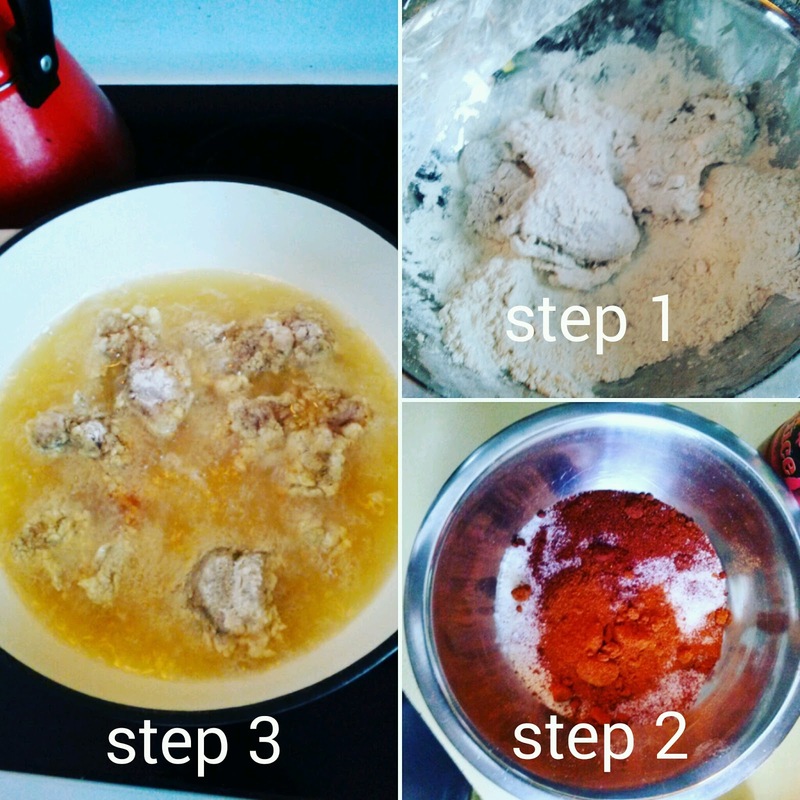 Dredge the chicken in the flour, then dip in the egg wash mixture, then in the flour mixture again, shaking off the excess after each step. Heat the vegetable oil in a deep cast-iron skillet or heavy-bottom pot to 350°F. Set a wire rack on top of a rimmed baking sheet and set aside. Working in batches, lower the chicken into the hot oil and fry until golden brown and crisp, 13-16 minutes or until a thermometer in the chicken registers 165°F. Remove the chicken and let it drain on the rack. Finish the spicy dip: Carefully ladle 1 cup of the frying oil into the cayenne pepper dip bowl and whisk the spices together. 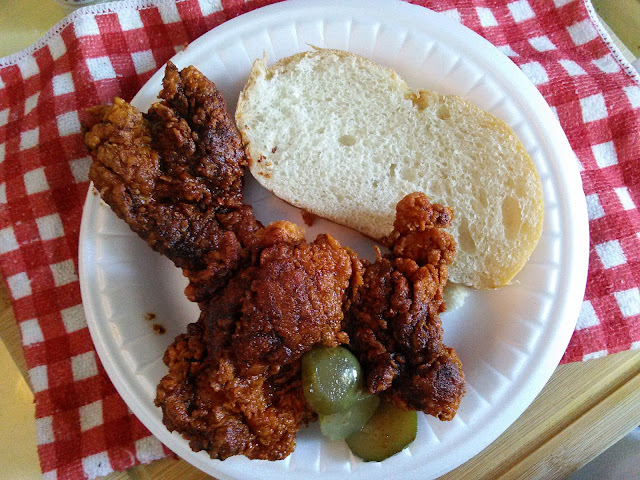 Baste the spice mixture over the hot fried chicken and serve immediately; Serve with white bread and garnish with pickles. The hotter the better! This chicken is calling out my name! I have never had hot chicken before but anything that has "hot" in its name has my name all over it! Will have to definitely try this recipe!!! "Common law marriage..." cracked me right up! Crispy and promises a spicy burn on the cellular level sounds about perfect! This looks extremely flavorful! Can't wait to try this chicken! Daaaaang, look at all that crispy crunchy gorgeousness, I WANT!! I really do wish I had known to look for this when I was in Nashville! I need this in my life sooner rather than later...and I want some of that hot fish right alongside it. ooo I just heard someone talking about Nashville Hot Chicken the other day! I've never had it but I need it in my life asap! I love pickles with fried chicken so I know that I would love this!